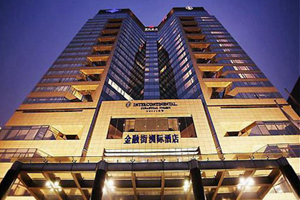 Intercontinental Hotels Group has signed an agreement to open a 320-room property in Beijing's city centre. The hotel chain has signed an agreement with Beijing Topwin Real Estate Development Co to open the new hotel by 2014. It will be located directly across from the famous Sanlitun in Eastern Beijing's Chaoyang District, one of the best-known bar streets in Beijing. The Intercontinental Beijing City Center will join the Intercontinental Beijing Financial Street and Intercontinental Beijing Beichen.